Echuya Forest Reserve is a montane rainforest of about 3,400ha/8,400ac, roughly 7km/4mi long and 750m/0.5mi wide. It was once upon a time part of the same forest as Bwindi and the Virungas. Its altitude varies from 2,270m/7,450ft at the junction of rivers at the northwestern corner to 2,570m/8,430ft at Mt Rwabatama at the southern end. It includes a significant amount of bamboo – it is the only source of commercial bamboo in Uganda. Elephants used to roam Echuya until the 1960s, and according to oral history it once had large herds of buffalos, antelopes and duikers. Nowadays it is home to blue monkeys, colobus monkeys, a small group of baboons, 19 small species of mammals, butterflies and over 100 bird species. A big swamp lies in its centre, where sedges, heathers and giant lobelias are growing. Compared to other Ugandan forests, Echuya is not particularly bio-diverse. However, in terms of the conservation value of the species represented, Echuya is in the top 10%. 77 species in Echuya may be classified as restricted-range (recorded from no more than five Ugandan forests). 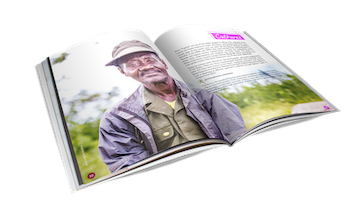 The Batwa ceased to live entirely in Echuya forest long before it was gazetted in 1939. Since then a mixture of official forest management policies and demographic/social changes have accelerated their exodus, to live with other ethnic groups outside the forests. Most Batwa live in a situation resembling serfdom, in ramshackle huts. They do hard and menial jobs for their landlords, including guarding crops, in exchange for food and a small patch on which to build a hut. Kisizi Falls is the most beautiful waterfall of the Gorilla Highlands region. However, there is a terrible story connected to it: pregnant unmarried women used to be thrown over it as a punishment, making it a site similar to Lake Bunyonyi’s Punishment Island. The nearby hospital was built in the 1940s by Italian POWs as a flax processing factory but was converted in the 1950s by John Sharp, the son of Dr Len Sharp of Lake Bunyonyi. Now a major health institution, with a rehab unit for children with cerebral palsy, a school of nursing and more, it generates its own power from the waterfall and shares it with the surrounding areas. Kisiizi Hospital already offers a couple of inexpensive guesthouses and has more ambitious tourism plans, in partnership with the United Nations World Tourism Organization and the Uganda Ministry of Tourism. A visitors centre is under construction and a suspension bridge to view the falls, a monument, a science park with a range of demonstrations including hydro-electricity generation and a zip wire ride are planned.